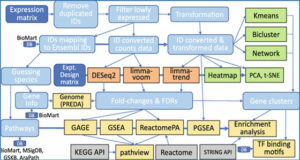 A large choice of tools exists for many standard tasks in the analysis of high-throughput sequencing (HTS) data. However, once a project deviates from standard workflows, custom scripts are needed. 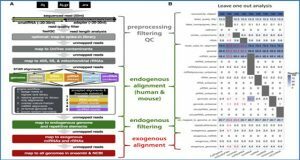 Researchers at the European Molecular Biology Laboratory present HTSeq, a Python library to facilitate the rapid development of such scripts. 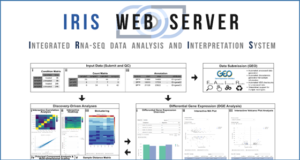 HTSeq offers parsers for many common data formats in HTS projects, as well as classes to represent data, such as genomic coordinates, sequences, sequencing reads, alignments, gene model information and variant calls, and provides data structures that allow for querying via genomic coordinates. 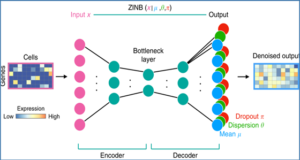 The researchers also present htseq-count, a tool developed with HTSeq that preprocesses RNA-Seq data for differential expression analysis by counting the overlap of reads with genes. 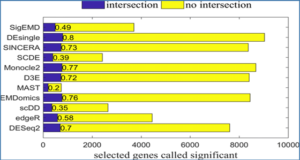 (a) The SAM_Alignment class as an example of an HTSeq data record. (b) The cigar field in a SAM_alignment object presents the detailed structure of a read alignment as a list of CigarOperation.